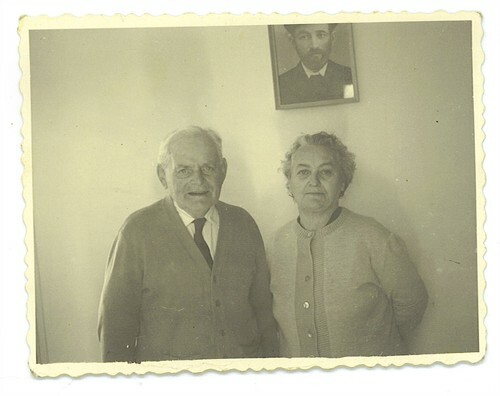 Recently found notes from Alven Ghertner trace these Ghertner siblings to their grandfather Shor Hezkel. Their father was Shor Abraham and it’s not known how this was changed to Abraham Ghertner.See this for origin of ‘Ghertner’ name. My grandfather Simon Ghertner was born 25 August 1882 in Roman, Roumania (on a Wikipedia page here and more about Jews in Roman here). His parents were Avraham Ghertner and Pesia/Pessie Abramovici. See this post regarding the spelling of ‘Ghertner’. On 23 June 1909 he married Dora Ella Cooper and the family resided at 1702 Ashwood Avenue in Nashville, Tennessee. The Ghertner family owned the home free of a mortgage (1920). 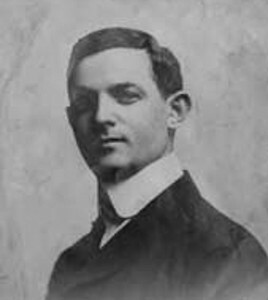 He registered for the World War I draft on September 12, 1918,before which he had co-founded a printing business, Cullom & Ghertner in Nashville, Tennessee. His children, all born in Nashville, married and raised their families in Nashville, Tennessee and Atlanta, Georgia. Gerald Horace Ghertner married Janice M. Magid of Miami, Florida and Leonard Cooper Ghertner married Frances Jean Bloom of Little Rock, Arkansas. Gerald and Leonard served in the United States Army during World War II. Here they are with their mother Dora. They continued the Cullom & Ghertner printing business until it was sold in the 1960s to Victor Comptometer, a Chicago based company. During World War II, Victor manufactured the Norden Bombsight (it was boasted wrongly that “they could hit a pickle barrel from 30,000 feet)., a B-24 turret gunsight and and aircraft compass. Simon’s brother Smil Arie/Lieb Ghertner, born 1875 in Roman, Romania to Avram & Pescia Abramovici. There’s been some confusion about his middle name. Arie is the Hebrew translation of “lion’ and Lieb is Yiddush for lion. 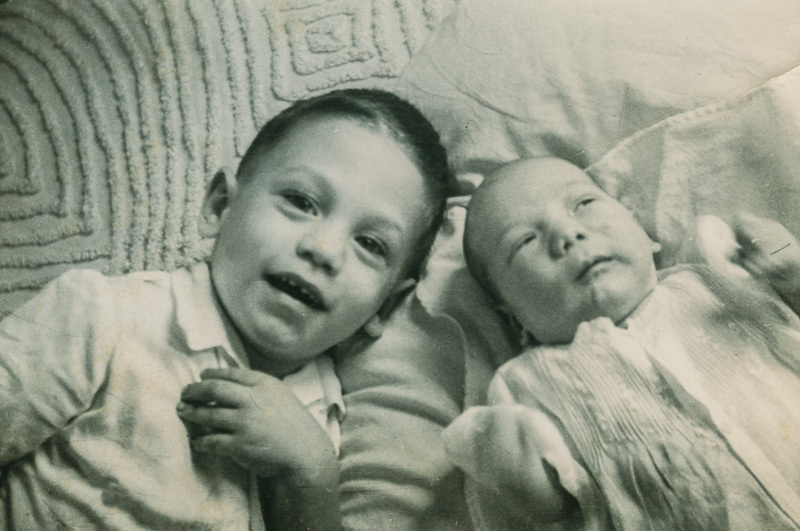 Smil and Fraga Frodel Cucosh had five children. At least one branch (and maybe another just discovered this week) immigrated to Israel by making ‘aliyah’. Descendants of Smil-Lieb Ghertner (and his wife Fraga Frodel Cucosh) made their way from Romania to Israel. Smil-Lieb was born in Roman, Romania and moved to Targu’ Ocna, Romania (about 100 kilometers from Roman). where the children were born and where Smil-Lieb was buried in 1939. Victor, Anootza, Oscar, and Avraham (and their familes) emigrated to Israel where they lived out their lives. Moritz Meir died in Romania, but his wife Rashela emigrated to Israel where she spent the remainder of her life. Anutza’s husband’s surname had originally been Horenstein but in Romania (and certainly a lot of other places) it was better to adopt Romanian names and Ciuraru was chosen.’ ‘Ciuraru’ is Romanian for miller, one who mills grain, perhaps flour (?). Moritz Meir Ghertner (1900-??) married Rashela ? “Our Man in Havana” (actually a woman and my 2nd cousin once removed, who is in Israel) thinks she has discovered descendants of a third Ghertner sibling, Shlomo Schmuel, from Roman, Romania who had two daughters and four sons. 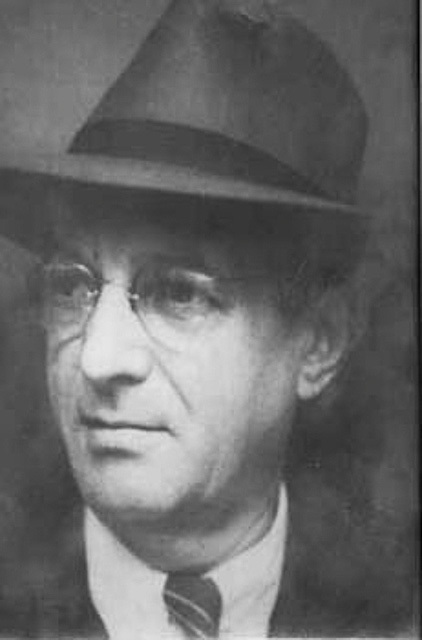 Aron was a Communist (many Romanian Jews were) and he changed his name to hide his Jewishness. 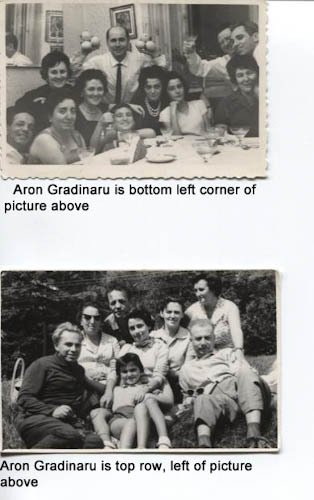 These photos from a researcher in California is Aron Gradinaru from Roman, but may be a different person. Hascal Ghertner, owner of a jewelry shop in Beer Sheva, Israel. All the children of Hanoch emigrated from Romania in the 1950s and they communicated and met with Alven S. Ghertner. Notes indicate he emigrated to the USA but the similarity of this name to Hanoch makes me think they were the same person. my grandson EYAL is the son of my son Natan Sxxxxxxx and my daughter-in -law EYNAT. the 3rd picure: Rashela (wife of Moritz) and Anuta Ciuraru/b. Ghertner, DAUGHTER of Smil Ghertner and Fraga/Frodel Cucosh. Everything is very well described, except the name of my grandfather: Natan CIURARU. THANK YOU. Terrific news for you, Mazel Tov! .. and priceless facts to have. I’ve save the names and date elsewhere because I’m paranoid about privacy of living individuals. 1. In the picture you called “Smil Leib Ghertner & Fraga Frodel (Cucosh), the two persons are my grandparents Natan Ciuraru (Horenstein)and Anutza (Hana) Ciuraru, parents of my mother Frema Iancovici (Ciuraru). On the wall it is a picture of Anutza’s father “Fater Schmil” (Leib Ghertner) who was a “soifer” (idish) or “sofer stam” (Hebrew), his occupation was to write Thora (the Bible). 2. There were two persons named Anutza (Hana/Ana was a common name in Romania): one is my grandmother Anutza Ciuraru (Ghertner), wife of Natan and sister of Oscar and Avram and the second is Anutza Ghertner (Meirovici), wife of Oscar Ghertner and mother of Benny. Seems clear you are 2nd cousin once removed. For privacy I hid you surname. Thanks for the compliment Corina.